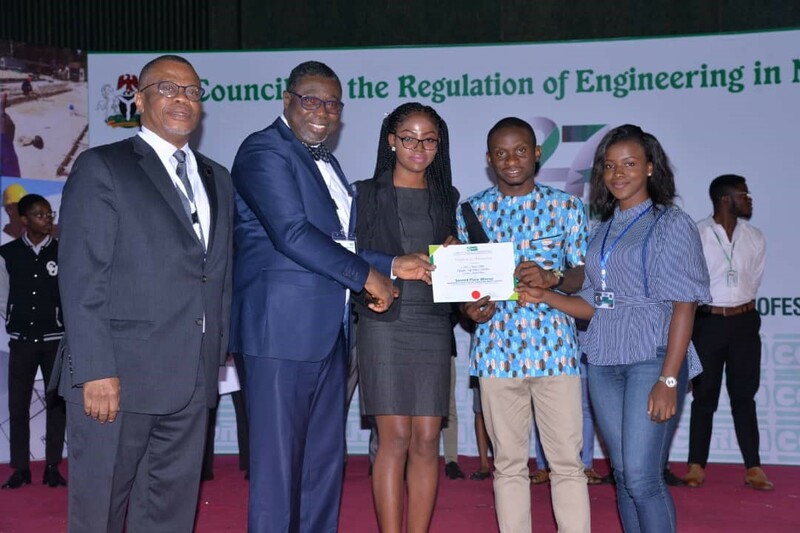 One of the Startups incubating at Roar Nigeria Hub, UNN, JULLYTECH, was hugely celebrated at the Council for the Regulation of Engineering in Nigeria (COREN) event held in Abuja recently. This Startup team made up of young Student Engineers, is building smart home solution to ensure you have control of your home- energy efficiency and security- at your fingertips. 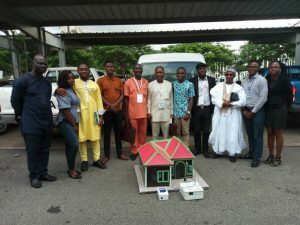 Jullytech came tops at the departmental, faculty and regional levels of the competition and clenched the 2nd position at the national competition held in Abuja. This feat shows the impact of the efforts of the Vice Chancellor, Professor Benjamin Ozumba in transforming the institution to a hotbed of great and innovative ideas. Staff and students of the University of Nigeria now have more opportunities to be creators, innovators and entreprenuers in today’s technology-driven world. Startups at Roar Nigeria are making their marks in the technology and innovation ecosystem in Nigeria. What’s your start up name called? When was your idea conceptualized? Our idea was conceptualized when we were working on our final year project. We realized that we were solving a problem in the Energy and Security sector and hence, we decided to turn it into a startup. At what stage of development are you in your business? We are currently in the prototype stage and ready to install in houses, schools and offices of our potential clients. So we are still in the early stage of our business. What progress have you made since inception of this idea? We have moved from the idea stage to the prototype stage and have tested out the solution on the model of a house which have proved to be working efficiently. We have taken in corrections from our learnings from the model and improved our prototype. At this stage we are ready to launch as a product and a service based start-up. Starting out with few clients and keep making modifications and improvements to our product and services. What is your projection and when do you hope to commercialize? We project that by the end of this year, we should have made a 100 installations in homes, schools and offices across Nigeria. We are currently targeting urban areas and areas with prepaid meter installations as they are in a better position to experience the full impact of our solution. We hope to launch fully by September of this year, 2018. We have been bootstrapping from the inception of our idea to the prototype stage. We intend to launch fully by next month being September and we need a seed funding of at least 3 million naira to mass produce and hire more capable hands for speedy execution and service delivery. Also for effective promotion and brand representation. 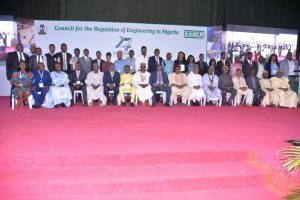 Share your experiences and thoughts about the COREN award, the competition which we participated in is the Committee of Deans of Engineering and Technology of Nigerian Universities (CODET) Competition which is organized every year. This year marks its 3 years in existence. We competed at the national level of the competition on the 6th of August, 2018 as engineering students of the University of Nigeria. We were able to partake on the national level after winning at the departmental, faculty and regional levels of the competition. The competition was held at the Obasanjo Space Centre in Abuja. We competed in the Group projects area. Regional Champions from Universities such as University of Ibadan, covenant, ABU Zaria, Kano state University, Nnamdi Azikiwe University, Awka, ESUT etc from various geopolitical zones of Nigeria were present. There were so many great projects showcased but winners must emerge. At the end of the competition we came 2nd nationally. The next day being 7th August, we were awarded our certificates and a sum of 250 thousand naira at the COREN Conference which held at the International Conference Centre in Abuja. We took photographs with the governor of Taraba state, the presidential representative, NSE and COREN Chairman and a host of other national dignitaries. The COREN Conference afforded us the opportunity to showcase our work to industry based engineers and politicians. This exposed us to potential Customers/clients. We were also given tons of ideas to improve the project. Also, the Nigerian Content Development and Monitoring Board (NCDMB) promised to look into our work and sort out ways to help us commercialize. We also got lots of contact of engineers and companies interested in us and our project. How Committed are you to this idea development? Has Roar Nigeria hub helped your idea in any way? We are very committed to the development of this idea. Roar Nigeria Hub has helped us in the capacity of providing a work space with great internet, Constant Electricity, conducive environment filled with a pool of smart individuals. Also, Roar Nigeria provided great business coaching and mentorship from industry leaders in Sweden and Nigeria. This has helped us shape and streamline our idea and identity as a start-up. What does your team members think about the COREN award? They are excited for having such an opportunity to be appreciated for our work and also connect with great industry leaders and politicians. We are grateful to our project supervisor Engr. Nathan David for his guidance and support during the course of our project and also for helping us shape our thought pattern and make better presentations. Also, I wish to thank the management of Roar Nigeria Hub for the business coaching and mentorship and their commitment to making us a great startup.